Henry Holt and Co. (BYR), 9780805095135, 256pp. 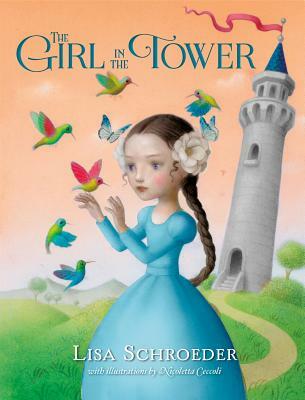 Lisa Schroeder is the author of over a dozen books for kids and teens, including the YA novels I Heart You, You Haunt Me, and The Bridge from Me to You and the middle grade novels It's Raining Cupcakes and My Secret Guide to Paris. She loves tea and cookies, flowers, family hikes, books and movies that make her laugh and cry, and sunshine. Living in Oregon, she doesn't get nearly enough sunshine, but the hikes are amazing. NICOLETTA CECCOLI is the award-winning illustrator of many books for children, including The Girl in the Castle Inside the Museum. She was awarded the Silver Medal by the Society of Illustrators and won the Andersen Prize, honoring her as the best children’s book illustrator in Italy. She lives in San Marino, Italy.